4. Watkins, Bill Red Cadillac [vers. 1] [unissued] uniss. 9. 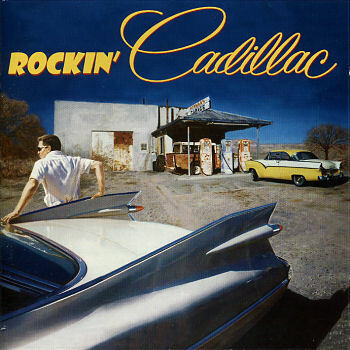 Wallace, Sonny Black Cadillac Yucca (N.M.) 45-127 1960/Dec. 14. Sherrell, Bill Cadillac Baby Tyme (Ind.) TR-102 1958/Jan. 17. Haley, Bill Rocket "88" Essex (Pa.) 381 1954/Dec. 26. King, Sid Maybelline [unissued] uniss. 29. Hughes, Wally Convertible Car Ember (N.Y.) E-1024 1957/Oct.